This past weekend I participated in a panel about blogging for a genealogical society. I also had a friend visiting who wanted to reserve a domain name for a blog/website. This really got me thinking about how to choose a name for a blog, a topic I have written about previously. The more I started thinking about it, the more I realized that a lot or work has to be done before you can reserve your blog or domain name. This follows whether you are setting up a Blogger or WordPress.com blog or whether you are setting up your own domain. 1. How unique is the name you've selected? You can answer this question easily by Googling your chosen blog name and seeing how many hits come up. Are there other genealogists already using that name? Are the words too common and appear in thousands of search results? Are there one or more businesses in other industries already using the same name? You want your blog name to be as unique as possible so that when your audience searches for you, your site will appear at the top of search engine results. If there are too many occurrences or variations of your blog name then you might want to consider picking a different one. 2. Is the Facebook page already taken? People get all excited when they choose a blog name and find that the name is available either in Blogger or as a .com domain. Unfortunately, they are disheartened after they reserve the name of their choice only to learn that the Facebook page vanity url has been taken by somebody else. Check Facebook before you finalize your name in Blogger or purchase a domain! You can do this easily by typing the url directly - www.Facebook.com/yourchosenname. Obviously, replace your chose name with the name you have picked out. All is not lost if the name is taken. You can do variations with hyphens or abbreviations but you will always have to deal with the issue that your audience might go to the other page instead of yours. 3. Is your name too long for Twitter? 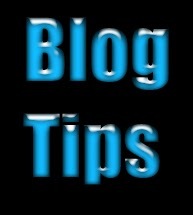 If your chosen blog name is lengthy or has multiple words then it may be too long to use the entire name for Twitter. The Twitter username or handle, the word following the @ symbol, is limited to 15 characters. You have two options on Twitter - your username and your real name. My username is @marianpl and my real name is Marian Pierre-Louis. Real names can be up to 20 characters. When I set up a Twitter account for my Fieldstone Common show I had to make a decision because it exceeded the 15 character username limit. 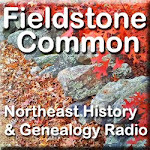 I chose to use @FieldstoneComm for the username and Fieldstone Common for the real name. In my profile I link back to my @marianpl profile. It is not as essential that you use your full blog name as your username on Twitter but you will still want to give some thought to make sure you select the best option possible. Are you using other social media sites such as Tumblr, Instagram or other sites? You will want to check those sites as well to see if your blog name is free. Checking across all possible social media sites before reserving your domain name will help you ensure you have the most unique and easy to find name. Good luck selecting your blog name! Do the up front work but also have fun. And let me know if you have come across any other considerations that should be checked before reserving your blog name. Great post! I suggest also making sure you say it out loud and write it out - by hand - before you finalize anything. If I had said my blog name out loud a few times, I would have gone with something much shorter. It's so long that it's awkward, and I can't use it to introduce myself, if I meet other bloggers or am at a conference - "Hi, I'm Kathleen of 'You Are Where You Came From'" takes several minutes to say. Where Did My British Ancestry Go?